As part of our Christian ethos, St Mark's School encouraged our pupils to take part in the 'Shoe-Box Appeal' once again this year. We often talk about setting personal challenges at school and this was a 'family challenge' to spend time during the October holiday finding items to put in your box to send to poorer children in deprived parts of the world. 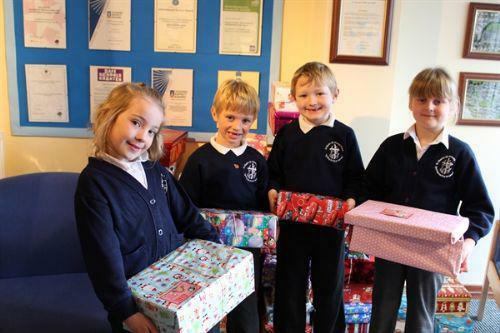 Unfortunately this year we were not able to provide empty shoe boxes as local shoe shops are now not allowed to pass them to schools in large numbers due to fire risks. We would like to Thank everyone who either donated items or brought in a Shoe Box for this year's Samaritan's Purse - Shoe Box Appeal.